LifeWatch is the second largest Holter Monitoring service companies in the world. LifeWatch is known to provide outstanding quality Holter Monitoring analysis services. The fact that LifeWatch has experience such enormous success, it is obvious that they have Holter Monitoring down to a science. 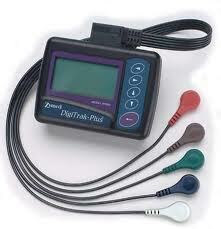 LifeWatch uses the DigiTrak Holter recorder which has a proven track record of clinical versatility and durability. The Digitrak Plus digital Holter is a small, lightweight recording device that provides 3-channels of continuous ECG recording for up to a period of up to 2 days. The device is equipped with a patient ‘event’ button to signify a symptomatic event. Further, the digital screen has a clock to assist the patient in documenting their activity when a symptom occurs. Patented EASIT derived 12-lead ECG view is possible from the 5-lead cable.